Kristen Dearlove has been a partner at McCall Dawson LLP since 2019. Kristen graduated from University of Western Ontario in 2007 with an Honors Specialization in Psychology Bachelor degree with a Minor in English. She attended law school at the University of Western Ontario, where she received her Juris Doctor Degree in 2011 and was the recipient of the Brad Hodgson Civil Litigation Award. While at the University of Western Ontario, Kristen was a supervisor at the Legal Aid Clinic where she carried files and had the opportunity to conduct a Small Claims Court trial and a Landlord and Tenant Board hearing. Kristen joined McCall Dawson LLP in 2011 as an articling student and was called to the Bar of Ontario in 2012. 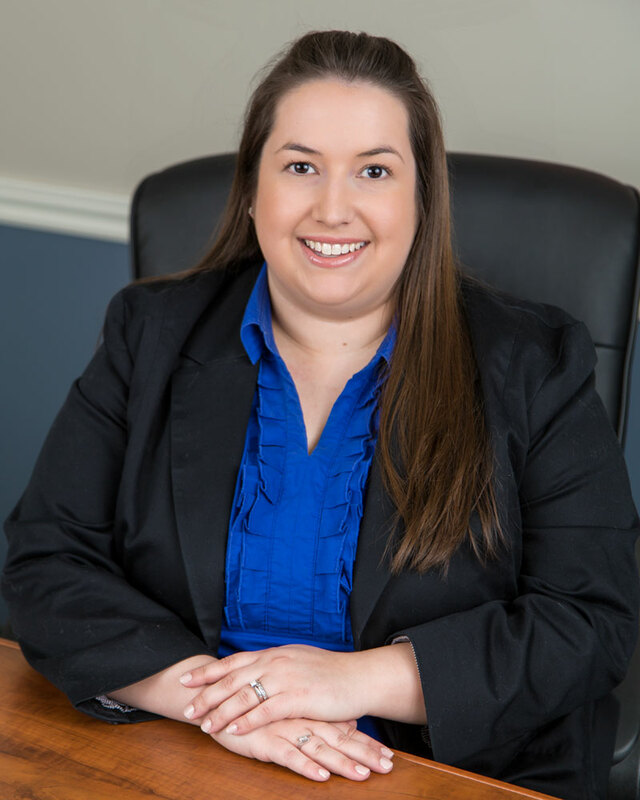 Kristen represents insurers, municipalities and corporations in many areas of litigation including personal injury actions, property damage claims and subrogation claims. She has appeared before all levels of court in Ontario and has experience conducting examinations for discovery, mediations, contested motions and tribunal hearings. Kristen has conducted Small Claims Court trials and argued motions and an appeal at the Ontario Court of Appeal. Dafesh v. Amormino et al. ; Pizzardi v. Amormino et al. O.J. No. 1406 – Plaintiffs’ action for damages against police service in negligent investigation arising out of the closure of their employer’s business dismissed on a motion to strike brought by the defendants for failure to disclose a cause of action. Hou et al. v. Police Service (2016) – Plaintiffs’ motion for further production of records from the police service found to be premature and lacking specificity. Costs awarded to the defendant. Paradowska v. Grocery Store (2012) – Plaintiff’s action for personal injury damages dismissed on motion for delay and for failure to attend scheduled examination for discovery. Costs awarded to the defendant. Cook v. Municipality (2012) –Refusal of municipality to provide City Councillors’ notes of in-camera meetings and ask Councillors if they made alleged defamatory statements upheld. Lee-Matthews v. Police Service (2017) – Plaintiff’s action for negligent investigation dismissed at trial. Hibbert v. Municipality (2014) – Plaintiff’s action disputing origin of property tax arrears struck for disclosing no reasonable cause of action. Keith v. Municipality (2013) – Plaintiff’s claim for damages caused by fluoridation of the municipal water supply struck on the grounds of issue estoppel. Despite Small Claims Court cap of $100 for costs, costs awarded to the defendant of $3,500 under “special circumstances” exception. Banko v. Insurer (2012) – Plaintiff’s action for damages caused by motor vehicle collision brought against insurer for other involved motor vehicle dismissed on a motion for disclosing no reasonable cause of action and settlement enforced. Costs awarded to the defendant. Decision No. 642/13,  O.W.S.I.A.T.D. No. 1541 – Application to Workplace Safety and Insurance Appeals Tribunal for declaration that action was statute-barred granted. McLarty v. Municipality (2014) – Arbitration brought by contractor for damages arising out of construction contract dismissed. Costs awarded to the respondent. The Importance of Record-Keeping in Litigation (December 2018), Presentation to roads operators for a municipality on the topic of winter maintenance.